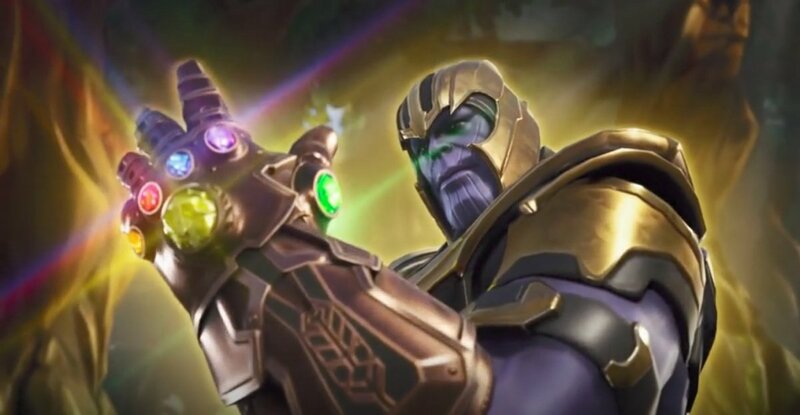 To play as Thanos, the supervillain from the Avengers: Infinity War, in Fornite we have to try to kill him using all the weapons at our reach. Once we’ve managed to wipe him out, he will release the Infinity Gauntlet which any user can pick up and use. From that moment, that player will become Thanos and the all versus all cycle will start all over again until there’s only one player standing once again. The reward is a Victory Royal for the only survivor, whether Thanos or any other gamer. Mighty jump: we can jump up in the air and fall without suffering damage. Blast: we can shoot blasts of energy to cause damage to our enemies. Smash: Thanos can crash into the ground damaging everything in a certain area. Punch Combo: combination of punches to damage rivals and structures. However, there are also a few cons to balance things out: we won’t be able to build and our position will always be shown on the radar so the rest of players will always know where we are if we play as Thanos. According to Epic Games, there won’t be any more Avengers characters appearing in Fortnite. It’s simply an agreement signed by the studio with Marvel, in charge of the superhero movie. Both developments have enjoyed unprecedented success, achieving record figures in their respective fields.